There were some good calls and some that were not that good, please see previous blogs. 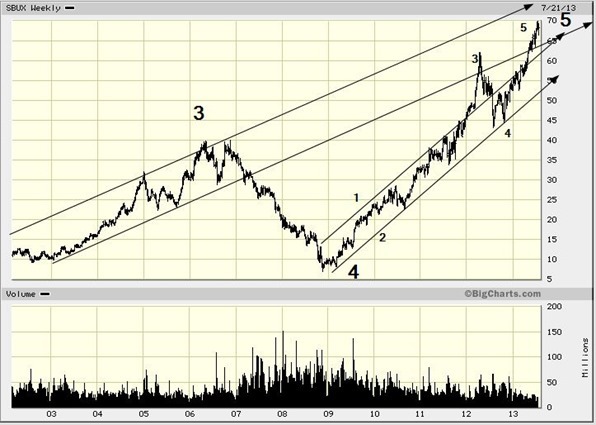 But here we are now solidly back in the old channel and trading at a P/E close to 35x. We are not sure how to count this one other than to assume that from the lows a 5th wave unfolded. It should be close to completion if not already there. A sell at $75 for sure and given today’s high of $73.50, why wait?